Recognize this building? 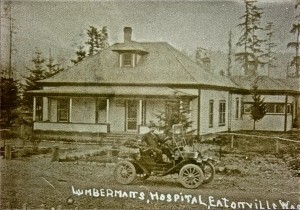 It’s the home across from the high school on Mashell, only back in the day it was the Lumberman’s Hospital. In 1923 Dr. Bridge opened offices in Tacoma and in 1926 opened the Bridge Clinic in Tacoma specializing in surgery. Let’s vote in the Dr. Bridge Medical plan, sounds alot better than anything out there today !! I remember Dr. Nevitt as the town Dr. when I was young. He had his office/home on the west side of Mashell Ave, about a block down from the School. 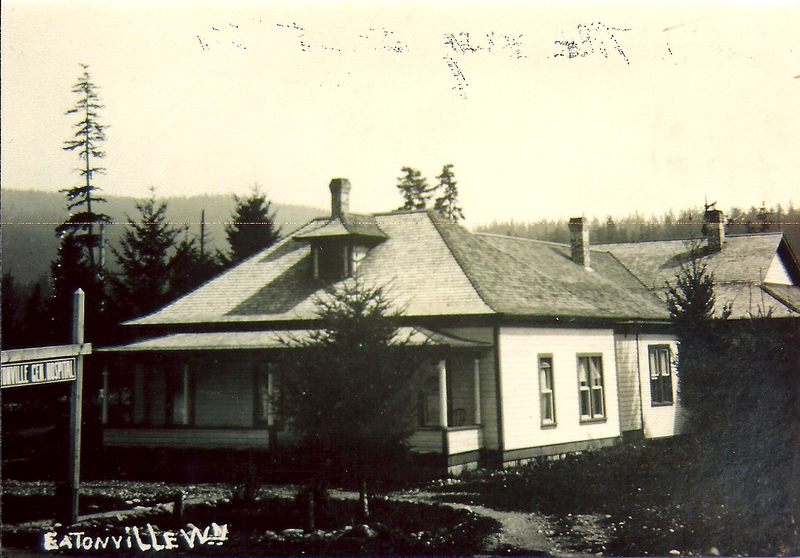 Dr. Hightower was the town dentist, on the east side of Mashell ave. about a half block from the school. Dr. Hightower’s son, Denny, worked for my dad at Mashell motors. I would have loved to meet Dr. Bridge. Everything about this guy screams interesting. Seemed like doctor/nice guy/business man all in one. 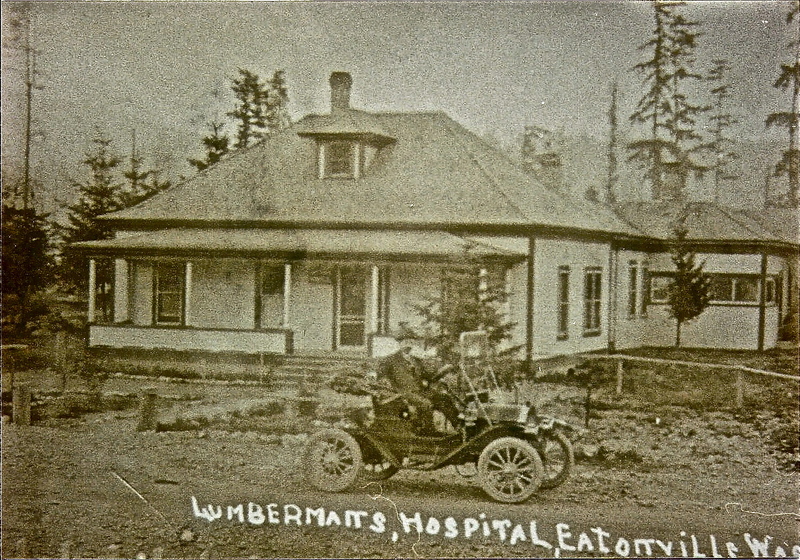 I have a photograph of the Lumberman’s Hospital with what I bel1eve is the staff gathered on the porch and steps; names of those pictured are listed on the back. Got in a garage sale years ago. It’s dated April 30th 1912, and Dr Bridge is one of those pictured. I have no real use for it, and would happily send it to you of you’d like to have it. Of course, I would also share it on here too.